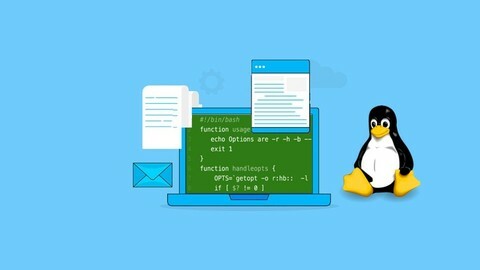 This course for anyone who wants to be Bash shell scripting programmer from scratch, We will start by discus fundamentals Linux commands that you need to start programming Bash scripting. We will start first by installing the development environment then you will run your first Bash scripting program, and understand how program flow works in Bash scripting. Then we will talk about variables and Math operation and priorities. Then we will take about logic and make a decision, then we will talk about loops. then we will talk about functions and OOP concept that you need to use when you program with Bash scripting, then we will talk about how to automate task such as collect developer emails GitHub projects, then we will talk about Databases and files.